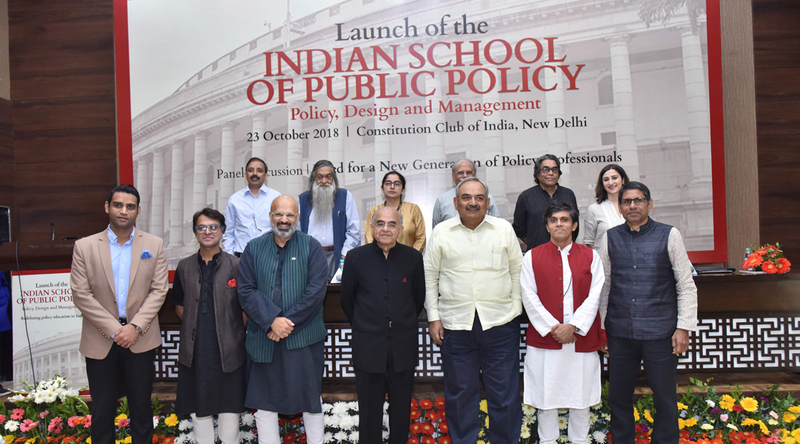 On 23rd October we launched the Indian School of Public Policy(ISPP), India's first definitive and immersive program in Policy, Design and Management. Conceptualised as a one year, Master's-equivalent program, the ISPP will commence with its first batch in August 2019. Held at the Constitution Club of India, New Delhi, the keynote address at the launch was delivered by Gurcharan Das, Trustee, Centre for Civil Society and Former CEO, P & G India. Our esteemed speakers also included N.K. Singh, Chairperson, Fifteenth Finance Commission of India and Member of Parliament, Rajya Sabha; and Rajiv Mehrishi, Comptroller and Auditor General of India. The launch event also included a panel discussion on the 'Need for a new generation of policy professionals' with eminent panelists such as Dr. Abhijit Sen, Member, erstwhile Planning Commission; Dr. Shekhar Shah, Director General NCAER; Dr. Shamika Ravi, Director of Research, Brookings India; Smt Mahima Kaul, Director of Policy and Government Partnerships, Twitter India; Dr. Aseem Prakash, Chairperson, School of Public Policy & Governance, Tata Institute of Social Sciences and Dr. Shubhashis Gangopadhyay, Dean, ISPP and Founder, India Development Foundation. The ISPP is conceived as the first design-thinking focused school of public policy in India with a vision to develop policy professionals with the knowledge, skills, wisdom and ethics to understand, design and implement local solutions to India's enduring policy and governance challenges. It presents for us, the next frontier in impacting public policy in India, and a successor to two decades of student outreach and policy training programs spearheaded by CCS Academy.